From sundown on Wednesday, April 11th to sundown on Thursday, April 12th, it is Israel’s Holocaust Remembrance Day and we at GOD TV commemorate this day, standing in solidarity with our Jewish friends worldwide. It is known in Hebrew as Yom HaShoah and also called Holocaust Martyrs’ and Heroes’ Remembrance Day. How moving it was to watch the State Ceremony held at Yad Vashem this evening. Six massive torches were lit at the Holocaust memorial in Jerusalem, to remember the six million Jews who lost their lives. Each flame was ignited by a Holocaust Survivor telling their heart-rending story of unimaginable loss, yet filled with a deep hope. The ceremony was attended by the President of Israel, Reuven Rivlin; Prime Minister Benjamin Netanyahu; dignitaries; survivors; children of survivors and their families; together with the general public. It included speeches, songs, and a rousing rendition of the Israeli national anthem, Hatikvah. Speak out against Holocaust denial, which is all too prevalent. Depending on where you live, you can also take part in Holocaust Remembrance events. 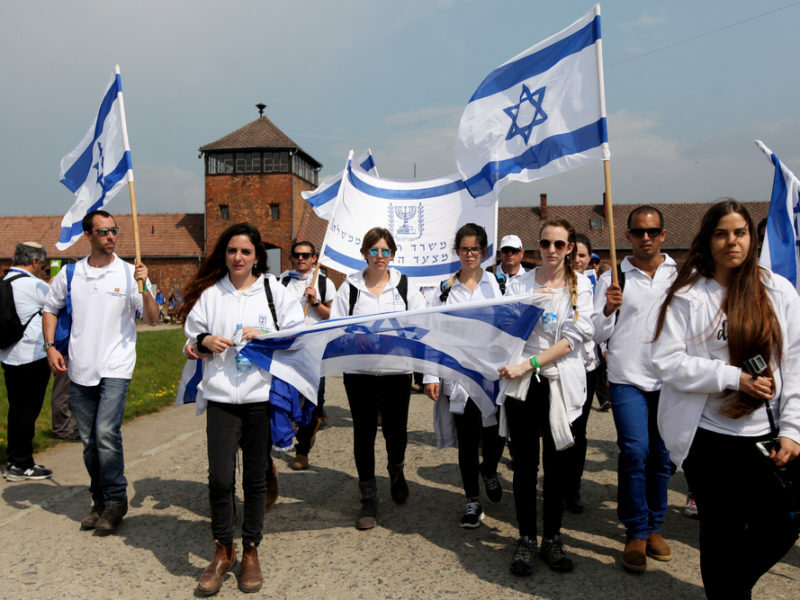 Poland hosts the March of the Living on Yom HaShoah each year, when some 12,000 participants, from all over the world, walk from Auschwitz to Birkenau. The Jerusalem March of the Living will be held on April 19th. 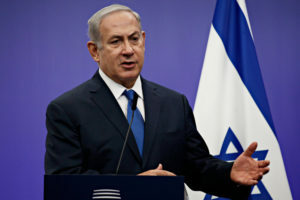 Known as a brilliant orator, Israel’s Prime Minister Benjamin Netanyahu spoke highly of the Holocaust Survivors as “heroes of great spirit, who came out of the darkness of annihilation to the light of new life in the State of Israel.” Indeed, each one is a living testament to what happened seven decades ago and must never be allowed to happen again. He shared how everyone has a duty to combat things that are wrong. “Standing against evil is a mission given to every generation. There is no generation that is exempt. And woe be to the generation who doesn’t stand against it,” he said. This applies to ordinary people just as much as it does to our leaders and the Prime Minister Netanyahu proceeded to make an impassioned appeal for world leaders to act against tyranny before it’s too late. This was his direct warning concerning Iran’s stated objective to destroy Israel and the reluctance of world’s powers to take these threats seriously. He stressed that the people of Iran are not Israel’s enemy and how he hopes for a day when Jews and Persians can peacefully co-exist alongside each other. As you observe two minutes of silent reflection on April 12th consider the words of Hatikvah.